During Women’s History Month, we remember and celebrate the incredible women who have helped to build our nation’s businesses, schools, organizations, and families. We also recognize that they have accomplished so much—and continue to do so—while earning less money than men who do the same work. Studies show that women’s traditional caregiving responsibilities are a major factor causing the ongoing gender pay gap, as “there is a sharp decline in women’s earnings (men in comparison do not experience the same drop) after the birth of their first child,” says an article from SingularityHub. “This has a massive cumulative effect on the gender pay gap as a whole. Mothers are less likely to get offered jobs with significant travel and long hours due to negative perceptions about their ability to take on greater responsibilities. Another major issue is the lack of work flexibility for caregivers, who often want remote work options or flexible hours. Indeed, breaking through the traditional requirements to work certain hours in a certain cubicle can open entirely new opportunities to women, allowing them to build balanced lives while still progressing in their careers. FlexJobs founder and CEO Sara Sutton addressed this in a Fast Company article, noting that her company, Remote.co, has found that women make up 42% of the leadership at remote companies, compared with 14.2% in S&P 500 companies. Andrea Loubier, CEO of Mailbird, echoes this sentiment in a Forbes article. Especially in the tech industry, she says, remote work options can play a significant role in helping to close the gender pay gap. 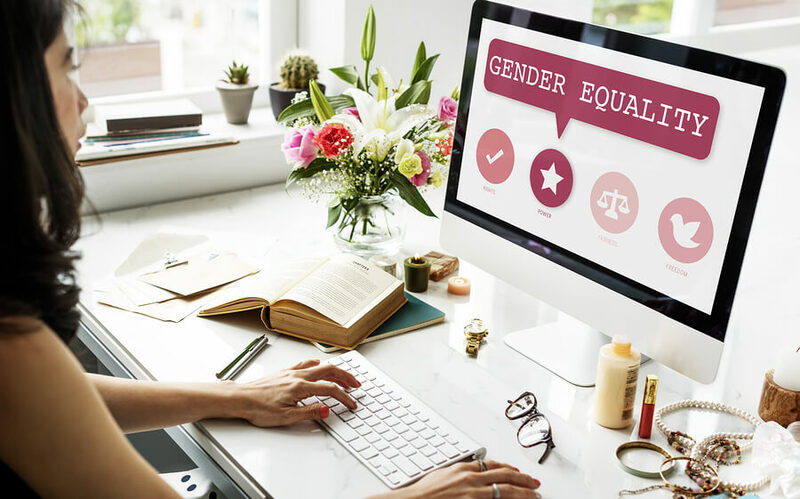 Businesses have a vested interest in keeping women in the workforce if they want to retain some of their brightest, most talented workers and strengthen their companies through diversity of thought and points of view. As such, offering more flexibility, and remote work most of all, should be a top priority. Providing remote work alone will not be enough to bring about full gender equality. That effort will continue to require considerable effort on many fronts. But as people work together, using all of the tools at their disposal, we may see a time when inequality is a historical fact that we remember as a problem of the past. Consider that a goal to pursue for Women’s History Months to come.